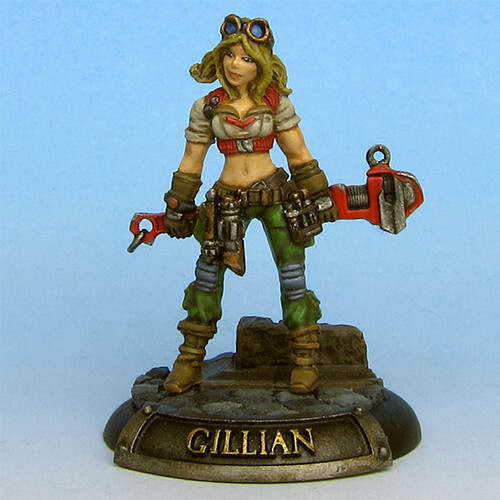 Gillian Ashburn was born in Caspia as a privileged Noblewoman. Early on, she traveled with her father, an important diplomat of the cygnaran crown, to distant lands. An extended stay in Rhul awoke a fascination for mechanikal engineering in her, much to the disdain of her parents who viewed such interests as far below her standing. Things took a turn for the worse when her parents learned that she had been spending family money on expensive mechanikal equipment and a complete laborjack without their knowledge or approval. When they took steps to “remedy” the situation and tried to marry her off to a nobleman, Gillian decided to take her life in her own hands. 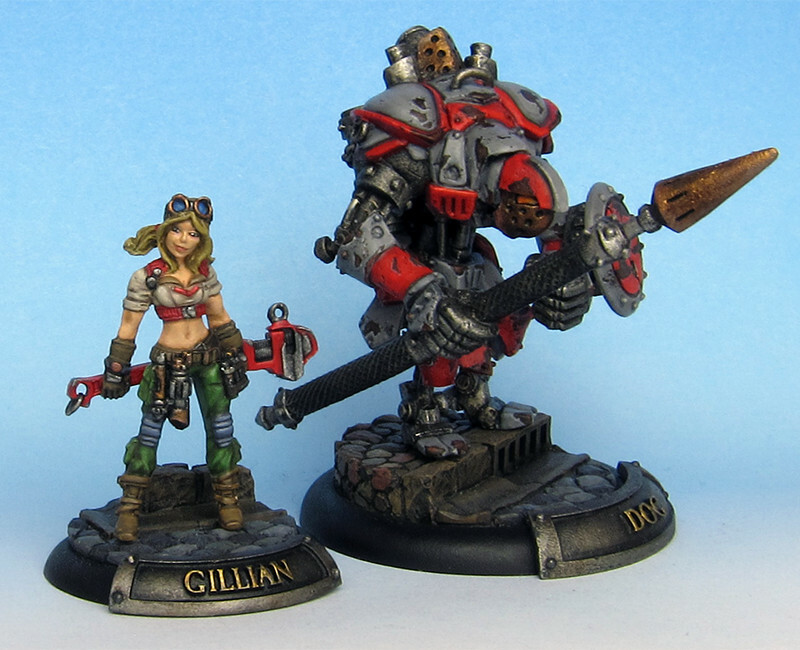 With her savings in hand her ‘Jack “Dog” in tow, she left Caspia and traveled to Corvis to start a new life of engineering and adventure. 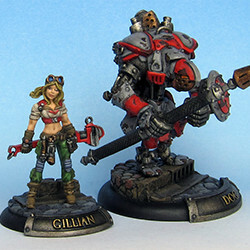 The mini used to bring Gillian on the tabletop is not a Privateer Press mini. 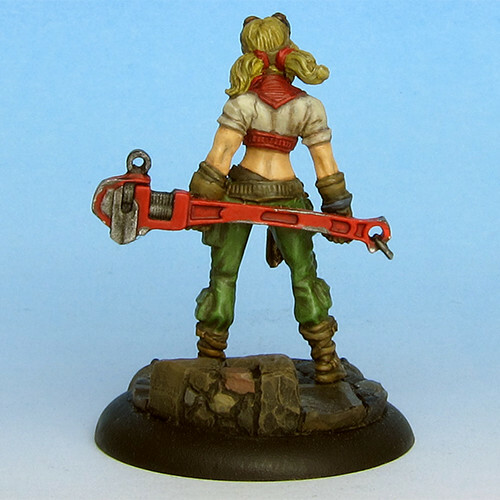 Instead we used Maelee, from Bombshell Miniatures in her Kickstarter exclusive variant.